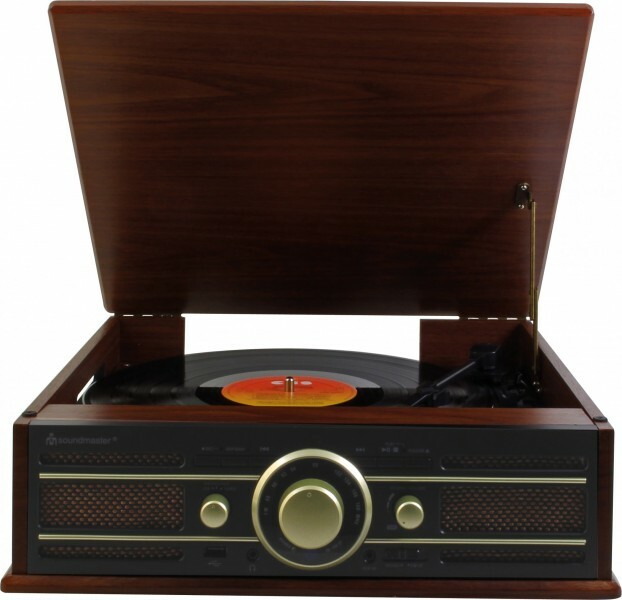 With its retro wood housing and the nostalgic controls on the front, the PL550BR stereo FM radio record player looks like something from days gone by. But this sound system from Soundmaster known for its appealing hi-fi designs is equipped with state-of-the-art technology. 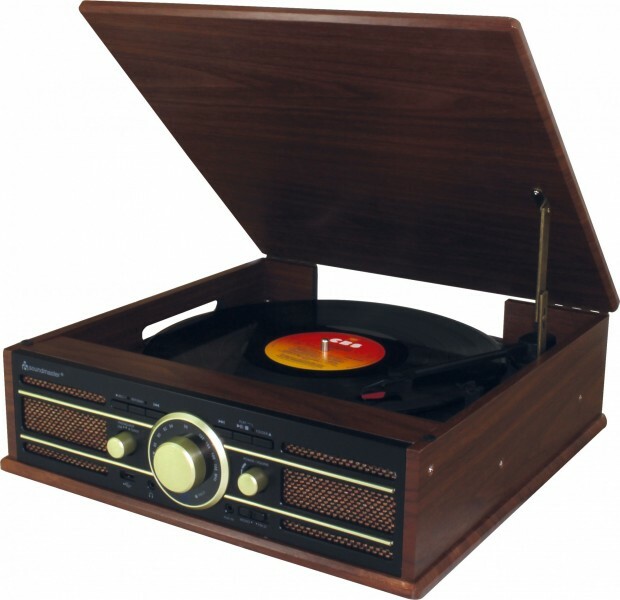 The record player with tone arm lifter provides accurate playback of your records and is hidden beneath a wooden lid. It features an encoding function that allows you to record music from a record or AUX input onto USB. In addition, an FM radio is built into the nostalgic housing. With AUX input, line-out R/L, and a headphone jack it offers a variety of connectors. It also comes with a remote control that allows you to control the record player from the comfort of your sofa.